Brenda Richards knows the value of hard work. Growing up around agriculture as a child, she raised and managed a small herd of sheep, using the profits to pay her way through college to earn her degree in accounting. 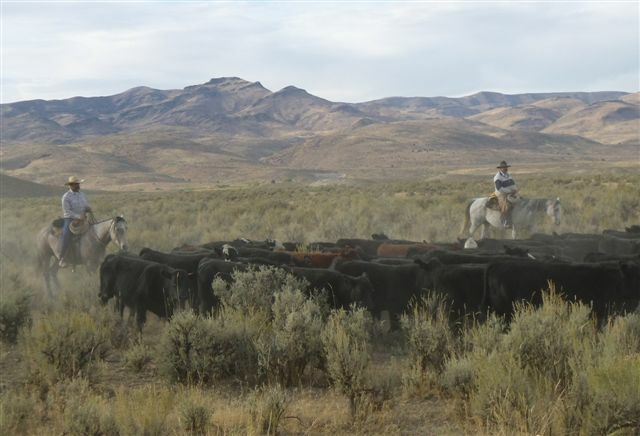 Today, she is the Owyhee County treasurer, an advocate for the ranching community serving as president of the Public Lands Council, and a businesswoman on the ranch she owns with her husband Tony, a fourth-generation rancher. 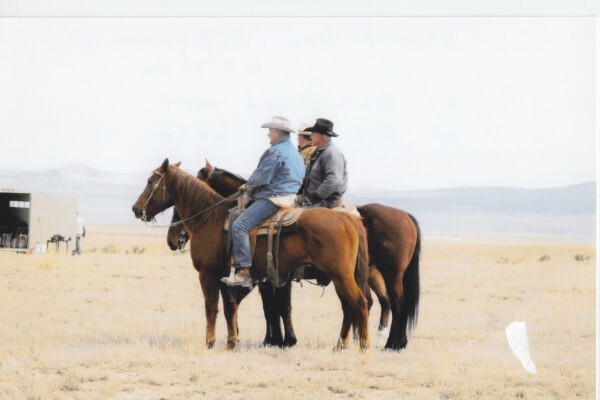 Brenda’s sons have also embraced the ranching business: her eldest runs his own nearby ranch, her middle son works on the family ranch, and her youngest studies natural resource law. Although Brenda’s ranch contributes greatly to the local economy through taxes, support of local businesses, and collaboration with community members, the positive impacts of her ranch go well beyond the local community. 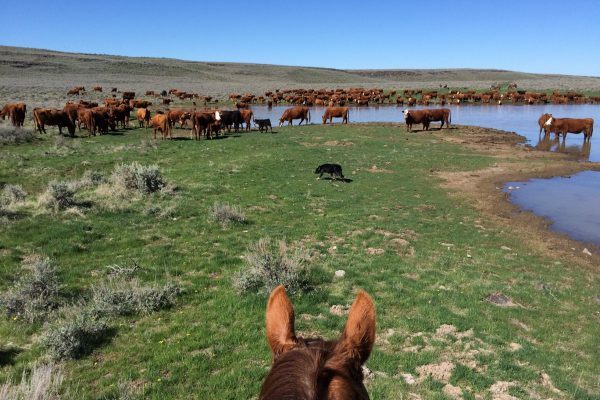 Grazing cattle on the wide open pastures and rangeland that exist in the west, like most ranchers in that region do, makes it easy for Brenda and her family to offer grass fed, natural beef with no added hormones or excess antibiotics to consumers. It is a built in production infrastructure that makes large scale grocery chains, such as Whole Foods, that favor those characteristics eager to buy beef from the Richard’s ranch. Brenda and her husband are also committed to helping people understand where their food comes from. 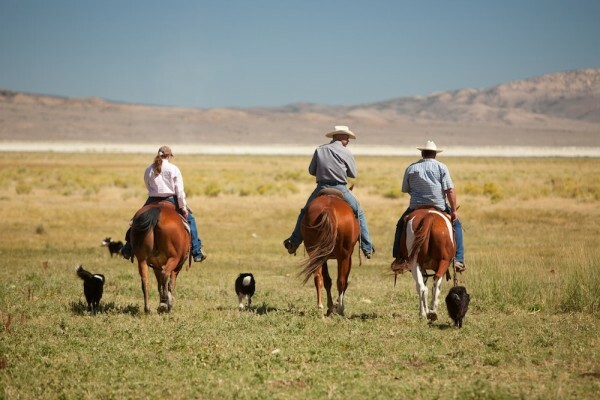 They have opened up their ranch to tours in order to provide education to local university students and people from across the nation about the work that goes into maintaining a ranch that brings high-quality protein to the table. This program also highlights how correctly taking care of the land helps wildlife and native species thrive. 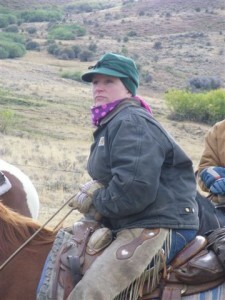 Recently, Brenda and her family participated in an international program through the University of Idaho in which they welcomed doctoral candidates from all over the world to the ranch to learn about ranching, wildlife, and maintaining public lands and how they all work intricately together. Brenda and her family manage 55,000 acres of public lands. They repair fences, monitor the grasses and other plants, and maintain clean, healthy water sources on the land. Ranchers like Brenda and her family ensure that the environment remains sustainable for not only their ranch’s cattle, but also for the native wildlife that also relies on the land for survival. Taking care of the land often comes with challenges. Brenda and her family recently faced devastating Idaho wildfires that burned for days. Although ranching neighbors came together to help protect as much of the land, wildlife, and cattle as possible, the fire claimed 95 percent of the public land Brenda maintains and 100 percent of her son’s allotment, burning all of the forage that would have been available for the upcoming grazing season. The family will have to find alternative forage for their cattle until the forage on the allotment has the chance to grow again. Ranchers are first responders during wildfires and are responsible for taking preventative measures to reduce the likelihood of those fires occurring. As cattle graze, they naturally consume the fine ground fuel that burns quickly in a fire. However, due to strict government regulations around the timing of grazing, there’s no flexibility to allow for extra grazing on land that may be overgrown.